You'll swoon over the rich, brown walnut of the Solitude Collection. 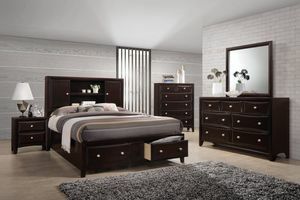 Plus, you can store belongings in the storage in the headboard and footboard! 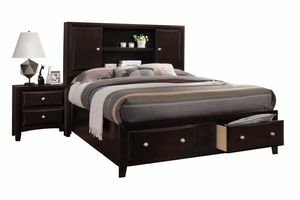 The headboard has sliding doors that covers a portion of the shelves, keeping some of the shelf open. 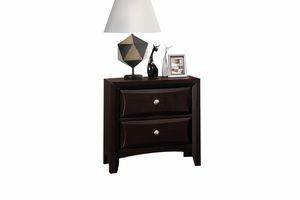 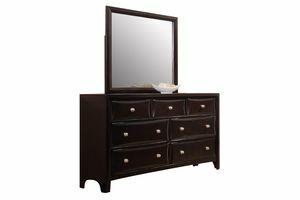 The nightstand, chest and dresser have a beautiful arched design on the base. 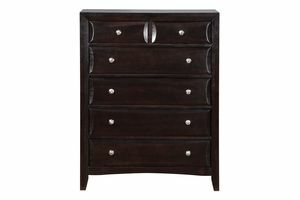 All drawers feature an english dovetail design and silver edged knobs.